Stress, worry, anxiety, and inadequate nutrition lead to hair loss and premature graying of hair. 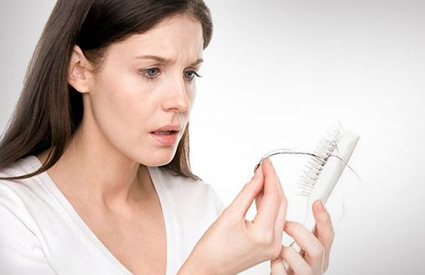 A certain amount of hair loss is considered normal, as old strands are replaced by new. When hair loss is excessive, care must be taken. Similarly, the graying of hair after a certain age is a normal phenomenon, but when this starts in the early years of life, one should look into for remedies.